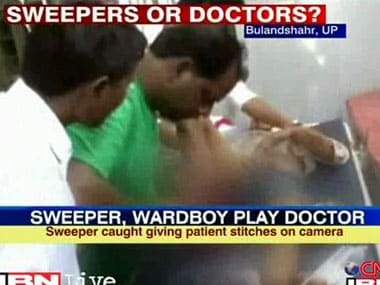 Does the suspension of ward boys and sweepers giving injections or dressing wounds serve any purpose? Or should they be upskilled? In another video from Uttar Pradesh, a driver of a Chief Medical Officer is seen giving saline drips to patients in the emergency ward.